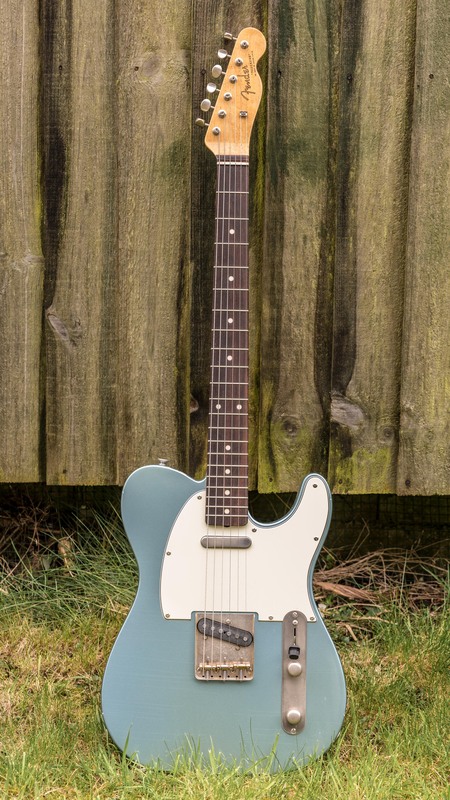 Hi all - hope you don't mind me sharing my new guitar - we all love Teles anyway, don't we? The neck is a Hosco - first one of those I've used, and it's ok. The slab rosewood board was quite anaemic, but after a couple of doses of scratch cover and F-One Oil, it has a nice dark colour, but with the figuring still; showing. The maple was treated with amber aniline dye, then a few coats of Tru-Oil. The finish was then rubbed back to age it, and make it feel ace! 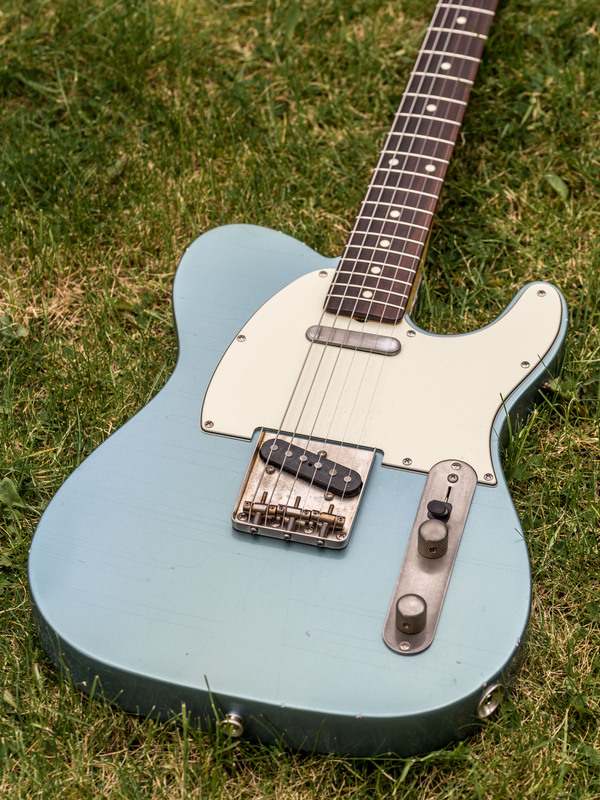 I've never been into relic guitars before, but I do like the feel of it, and I love the fact that I never need to worry about chipping a pristine finish (my JM Jag has one chip on the side, and that nearly reduced me to tears!). Once I'd decided to have the body aged, I thought I'd carry it through with all the hardware, so it's all nickel plated, aged with white vinegar. I thought it wen't pretty well, for a first attempt. 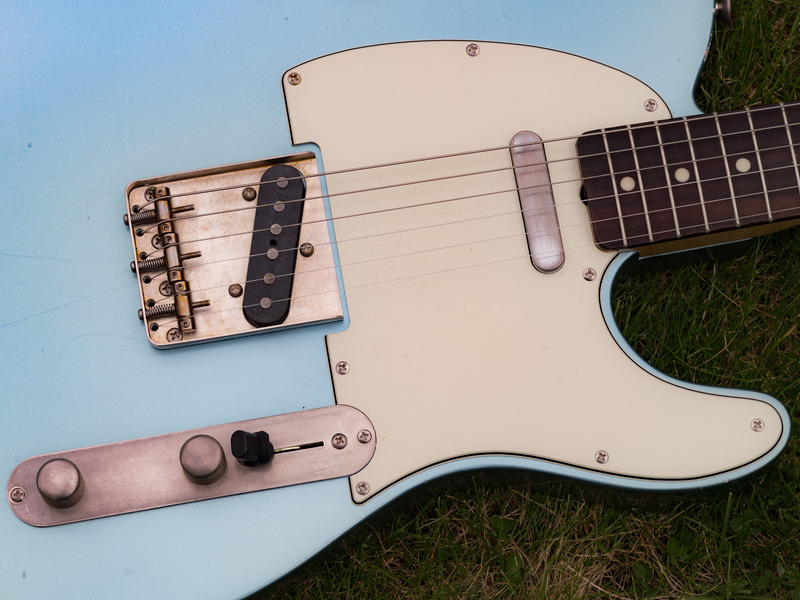 The machine heads are Gotoh, the bridge is Kluson, the pickups are Fender Pure Vintage 64s. I aged the pickups with ferric chloride (didn't want them sitting in the vinegar fume box for hours on end). 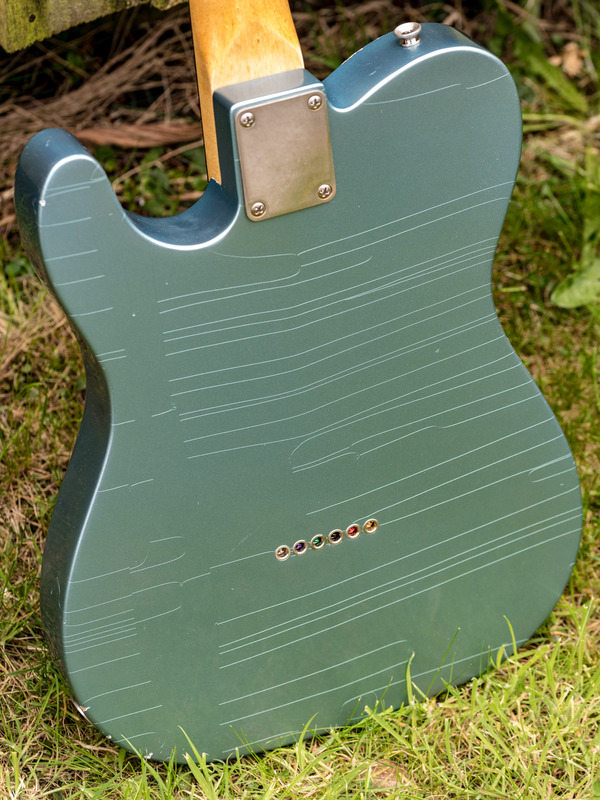 The mint scratch plate was from Charles Guitars, and I cut the truss-rod scoop and took the shine away with Micro Mesh. 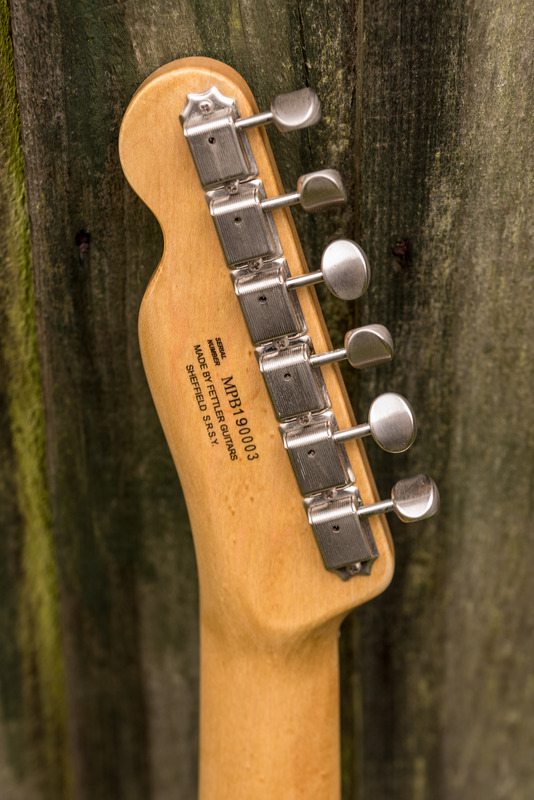 The saddles are Gotoh titanium compensated. These are interesting - the intonation is brilliant - absolutely bang-on. The note separation is excellent, and chords really ring. But... I'm not sure I like them yet. I find the sound is a bit too hi-fi, perhaps, and maybe too bright. I'm going to live with them a bit, let the strings age a little, and give it some time. I principally chose them because I wanted compensated saddles that look like plain steel early 60s saddles. Any suggestions? Anyway, if you've read this far, thanks! 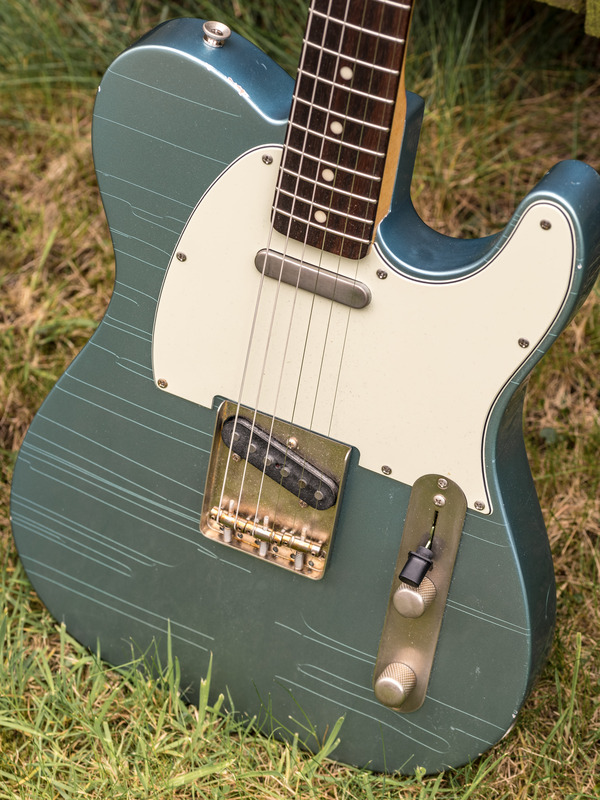 Those Gotoh ti saddles sound like they’d be right up my alley. I used Axecaster vintage smooth nickel plated ferrules that I aged a bit myself. 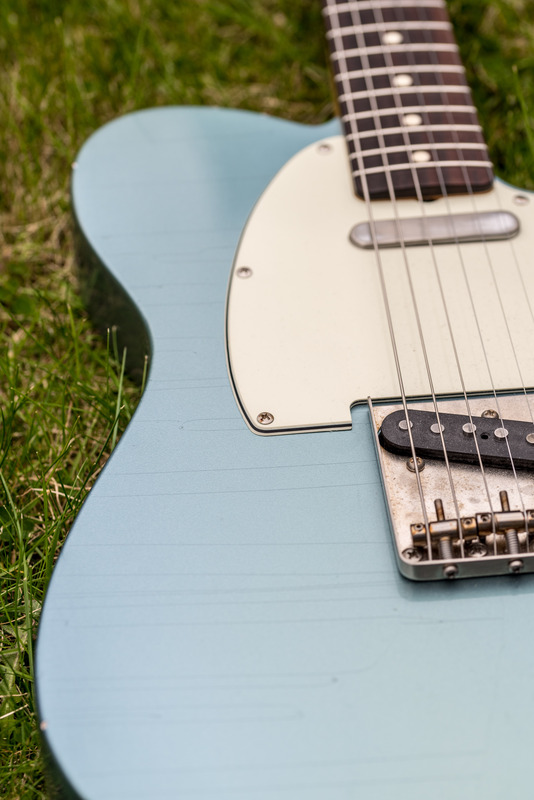 The body was Jon’s standard Tele with counter bored ferrule holes. When I dropped them in, the ferrules stood proud and I thought I might have a problem, but I followed the tip Jon put on Instagram I think, and pushed them in steadily with a hot soldering iron. That worked brilliantly. Looks lovely. Congrats on the guitar. Tastefully executed - very nice! 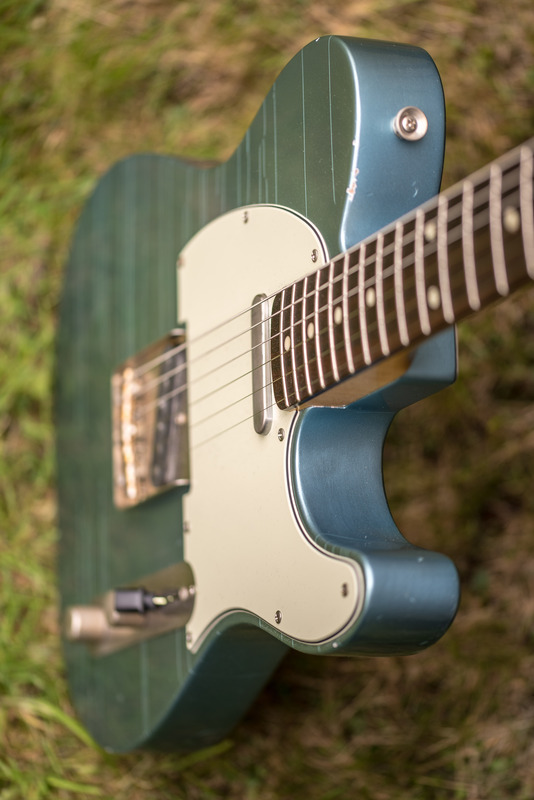 Regarding the brightness of the guitar - before you change saddles, try a set of pure nickel strings. I've often found that to be a good antidote in such a situation. The difference is noticeable. Nice work! It looks really great! Thanks all, and many thanks for the pure nickel strings tip - will certainly try that!